It doesn’t take a soccer expert to recognize why Paul Pogba‘s name has been linked to some of the world’s richest soccer teams on the international transfer and free agency market this summer, or why the projected price tag for acquiring him is sky high. The 22-year-old midfielder, a Muslim from France who currently plays for Juventus in Italy’s Serie A, scored 24 goals last season while helping his club win its third straight league championship as well as the Coppa Italia tournament. Juventus also finished second in the UEFA Champions League. In 2014, Pogba was named Best Young Player at the FIFA World Cup while helping France to the tournament quarterfinals. 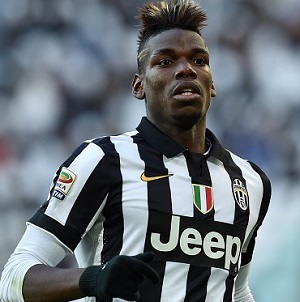 Pogba was recently given another honor, as he switched his Juventus jersey from No. 6 to No. 10, a digit typically reserved for the best player on a team. And his club manager believes the young star is still getting better.